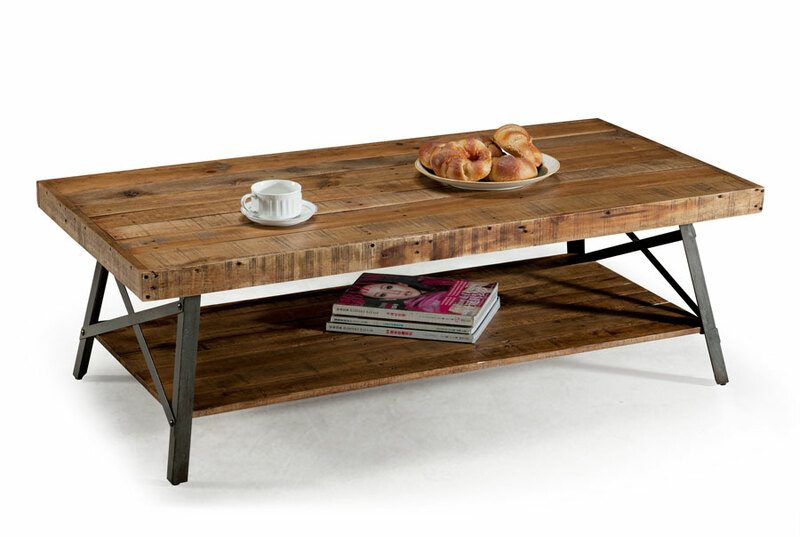 Emerald’s Chandler accent table collection includes a cocktail table, end table, and sofa table. 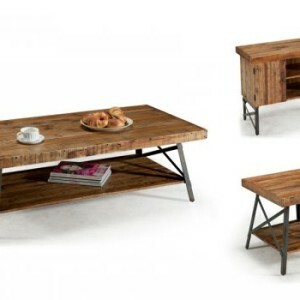 The end table and cocktail table both offer a lower solid wood shelf for extra storage under the table-top. 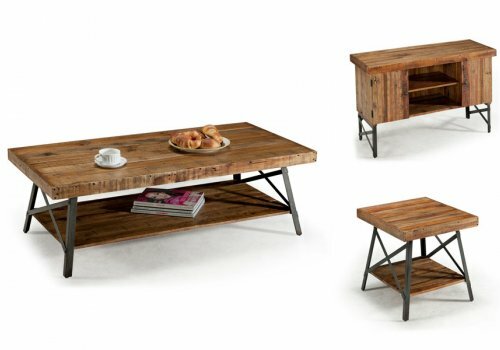 The versatile sofa table features two cabinets with custom pulls and two center shelves for additional storage. 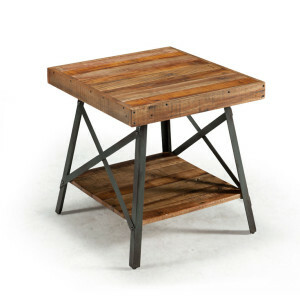 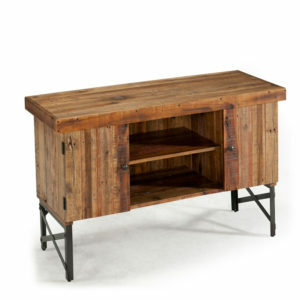 The collection is sure to give your home a rustic, industrial touch with its reclaimed wood surfaces and custom metal accents.